The rise of modern Los Angeles since the late nineteenth century has been inextricably connected to its reputation as a place of recreation. It might seem likely that a city sold as the playground of the world, with an economy and identity so closely linked to fun in the sun, would ensure the preservation of beaches and open space, and create urban parks as recreational amenities. Such was not the case. The result was a city and region with less parkland than almost any other major metropolitan area. 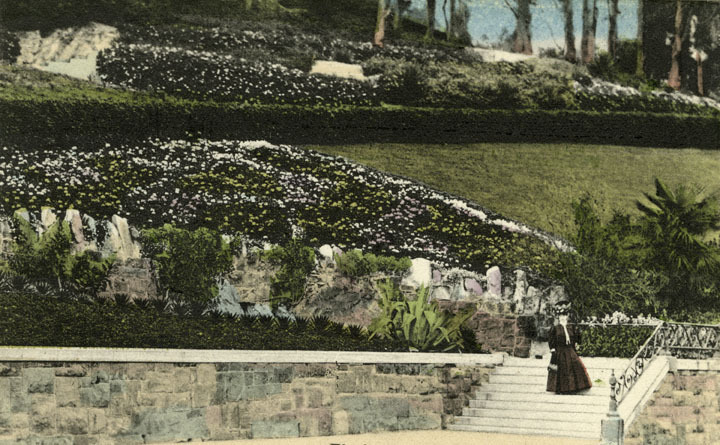 The history of parks in Los Angeles can tell us much about the history of the city, how the city was planned, what residents wanted the city to be, and how issues of race and class have played out in geographic and social space. 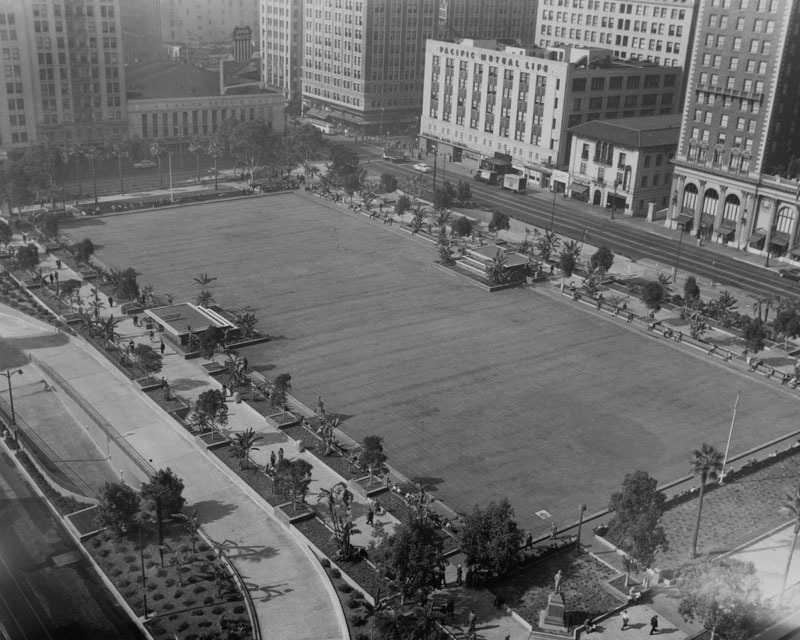 The early growth of modern Los Angeles was not accompanied by similar park development, or purchases of open land. One reason for this was the city”s rapid expansion. What had been a town of barely 11,000 people in 1880 was a city of 1.2 million people by 1930, and 2.4 million by 1960. 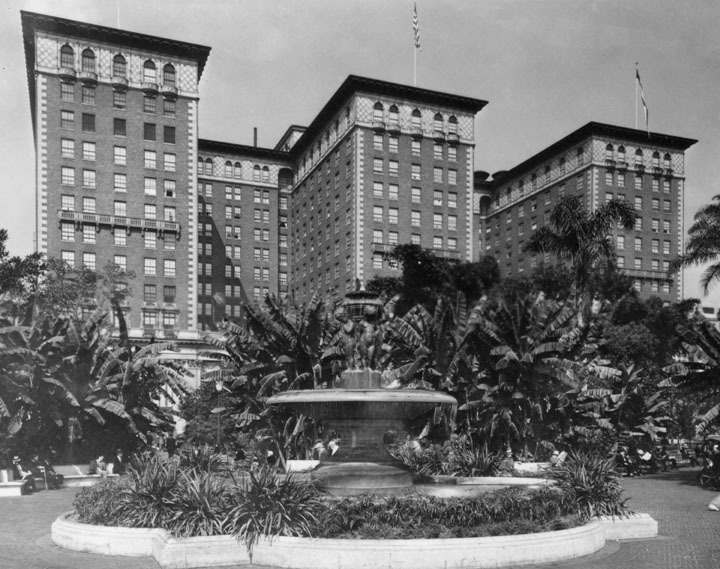 Nevertheless, rapid growth was not the only reason Los Angeles lagged in park development. Modern Los Angeles was conceived to be the exact opposite of eastern cities, with their teeming slums and congested downtowns. Beyond selling fertile land, sunshine, and a balmy climate, Los Angeles sold a lifestyle. This was to be a place where retirees could enjoy an old age of leisure, and families might live in a bungalow surrounded by a garden and citrus trees rather that on an isolated farm or in a crowded tenement. 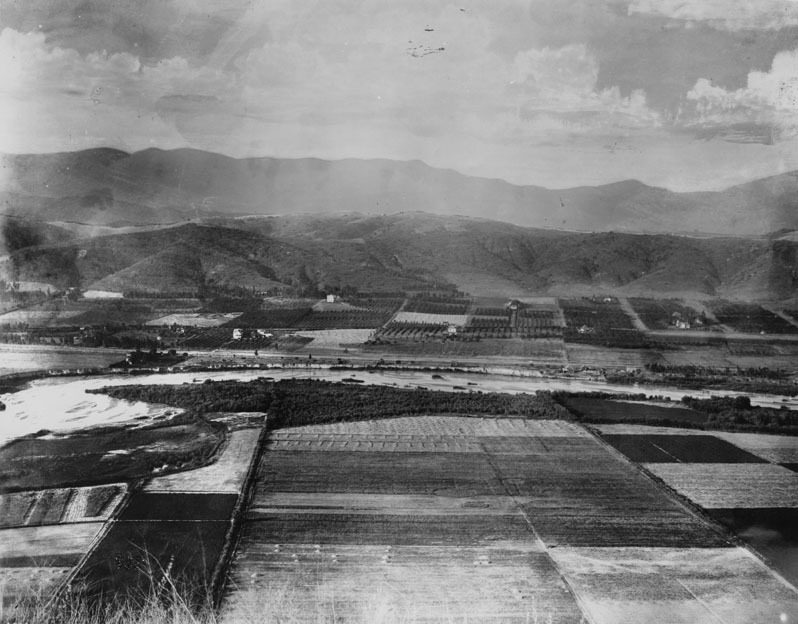 Dispersed communities were connected by Henry Huntington”s Pacific Electric interurban train system, allowing the development of a sprawling, suburbanized landscape, neither city nor country, which seemed to combine the best qualities of both. The automobile only accelerated this process, and also allowed residents to escape the city for recreation. The car, like the bungalow and the citrus orchard, became an essential component of the projected Los Angeles lifestyle. 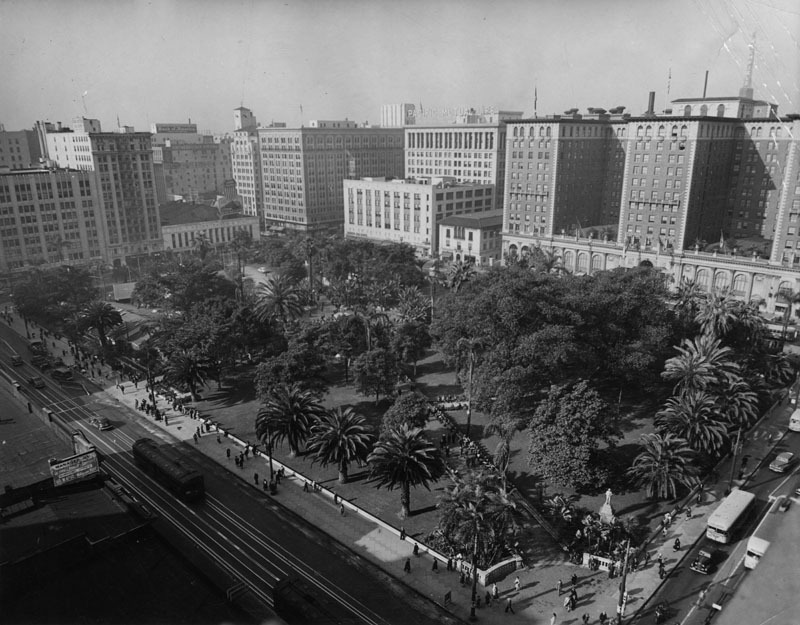 Los Angeles itself was a park, a city in a garden. It was thought that this new type of city would have no need for an elaborate park system. Residents could simply hop in their cars and ride to the beach, or out into open countryside. At home, they could enjoy their own yards and gardens. Civic leaders ignored the fact that continued growth would undermine this urban Eden, and that many residents were either excluded from it or lacked the resources to enjoy it. The segregation of recreational areas is certainly the most obvious example of racial bias in the development of parks and recreation in Los Angeles. Yet the lack of funding for recreational spaces and amenities in nonwhite areas of the city also functioned as a pernicious form of fiscal discrimination. In Latino East LA, residents complained of limited parks and a shortage of playgrounds. In Watts, requests for more parks, playgrounds, and a community pool were repeatedly rebuffed. As the city grew, and as racial housing restrictions were overturned by the Supreme Court in the late 1940s and early 1950s, the racial and ethnic geography of Los Angeles changed. Many Jews moved from the Boyle Heights neighborhood east of downtown to the Westside. White families moved in huge numbers to new subdivisions spreading across the floor of the San Fernando Valley. 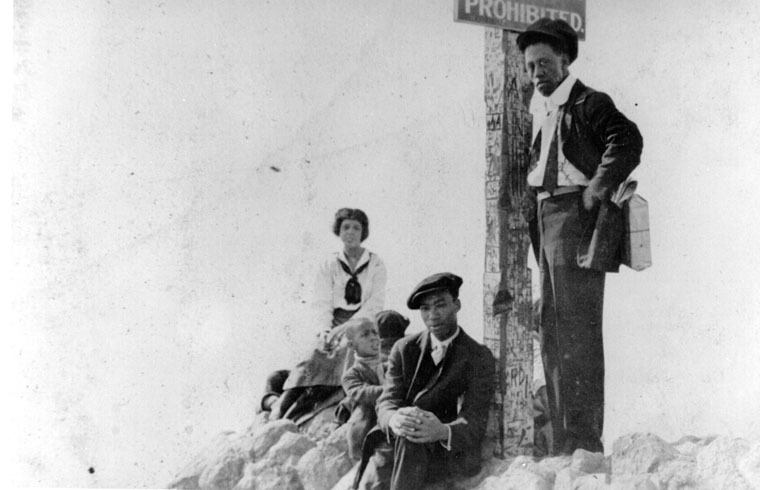 Parks that had once served whites were now increasingly used by African Americans, Latinos, and Asians, and drew the working class and poor as well. White civic concern for these parks suffered accordingly. There were geographic and monetary reasons to justify each of these construction projects. Yet it is an undeniable fact that by the time some of these projects began, many Anglos were moving away from downtown. 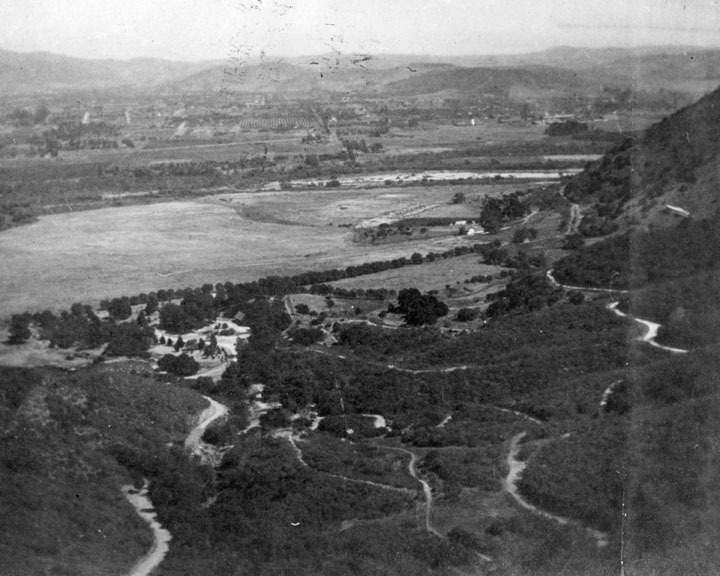 The portion of Elysian Park cut off by freeway construction lay near Chinatown, and residential neighborhoods surrounding the rest of the park were increasingly Latino. Sacrificing portions of these parks was undoubtedly made far easier by the fact that so many of the people who depended on them for their recreation were no longer Anglo. A project such as the greening of the Los Angeles River seems especially promising. The river winds though neighborhoods that vary economically and racially. It cannot return to a fully natural state, but the river could offer large, linear swaths of open space for walking and bike trails. Community recreation centers, playgrounds, and playing fields could also be located alongside a reborn Los Angeles River, alleviating environmental and societal woes simultaneously. Rejuvenating the river, or securing more urban parkland or open space, will never make Los Angeles again the edenic garden its boosters once proclaimed it to be. That past, such as it ever existed at all, is irrecoverable. Nor will any future plan completely alleviate the history of neglect and exclusion which has so long been a hallmark of park and recreation planning and policy in Los Angeles. It could, however, offer a better future for all of its citizens, rather than the limited prospects the city offered to so many in the twentieth century.